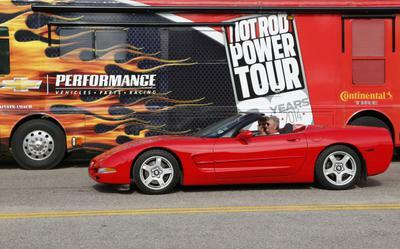 Driven on Hot Rod Power Tour 2 years. 2/6/2015 60 Miles North of Pittsburgh, Pennsylvania - Torch Red, with black top, 350 Automatic, 60,000 miles. Original Paint, clean, sharp, must see to appreciate. Includes $3299.00 worth of factory options. For more info call 814-221-2456. Join in and write your own page! It's easy to do. How? Simply click here to return to Corvettes.